The KayCee Pool has been home to the KC Sharks Summer Swim Team for more than 50 years. 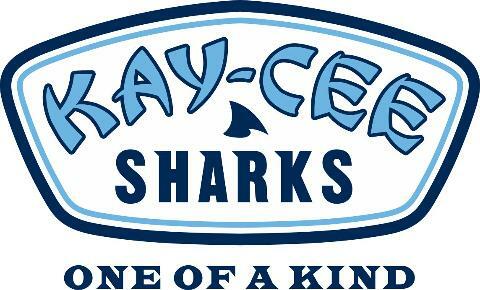 The KC Shark tradition of fun, learning, hard work, competition and, did we say FUN?- has long been one of the neighborhood's favorite summer activities for swimmers and parents. Sharks have gone on to swim in the U.S. Olympic Trials, the U.S. Nationals, College, and High School. Many others have discovered the fun of summer swim team with friends and the challenge of improving their swimming skills. Only New Members age 5 ? 14 need to try out! (must turn age 5 by June 1!) New Members must try-out, and be approved by a coach before REGISTERING for team! Returning KC Sharks, High School Swimmers or Arctic Sharks do Not need to Try-out! No appointment necessary. Goggles recommended but not required. March 11-14, 5:00 to 5:45 p.m.
March 18-21, 5:00 to 5:45 p.m.
March 27-28, 5:00 to 5:45 p.m.
March 30, 8:00 to 9:00 a.m.
March 31, 1:00 to 2:00 p.m.
More try-outs in April but swimming starts April 1 so try-out ASAP! Try-outs continue throughout April UNTIL TEAM IS FULL! April Try-Out Days and Times, Monday-Thursday beginning at 5:00 p.m., Saturdays at 8 a.m. Check Calendar for updates. ALWAYS CHECK CALENDAR PAGE at kcsharks.com before leaving for pool if weather is in doubt! We will update the calendar as soon as we are aware of a Try-out or Practice Cancellation!